Laura Haviland (1808-1898) was a radical abolitionist who not only assisted and harbored all who found their way to her home in Michigan, but also was was willing to travel below the Mason-Dixon Line to rescue enslaved people. Laura and her daughter taught for a semester in the basement of Zion Baptist church in Cincinnati and lived with the Coffins. That would have placed her in the center of the network of black underground operators and the Cincinnati Vigilance Committee. 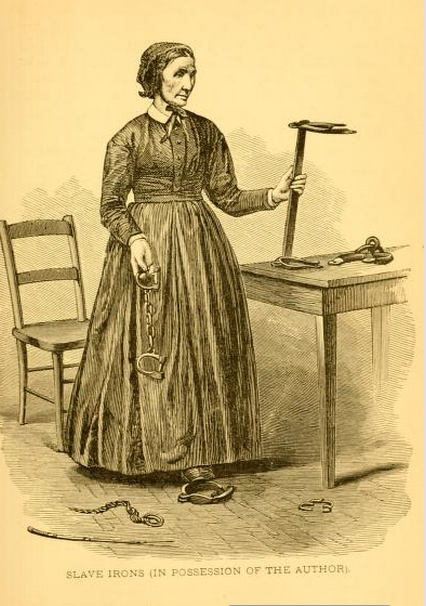 Laura spent at least three weeks in College Hill in 1851. In her autobiography, she said she came to College Hill as a nurse. She was likely tending to a freedom seeker who was in need of medical attention. In 1853, Laura organized a school in the new black settlements near Sandwich, Ontario. She witnessed the crossing of the “28” who traveled from College Hill to Windsor under the leadership of her friend John Fairfield. Laura came to Cincinnati, May 25, 1881 and spoke at Catherine Coffin’s Funeral at the Friends Meeting house, corner of 8th and Mound. 1. 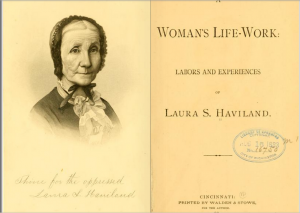 A woman’s Life Work:Labors and Experiences of Laura Haviland, 1887.